Violinist Zachary Ragent was born and raised in San Mateo, CA, where he began playing the violin at the age of five. 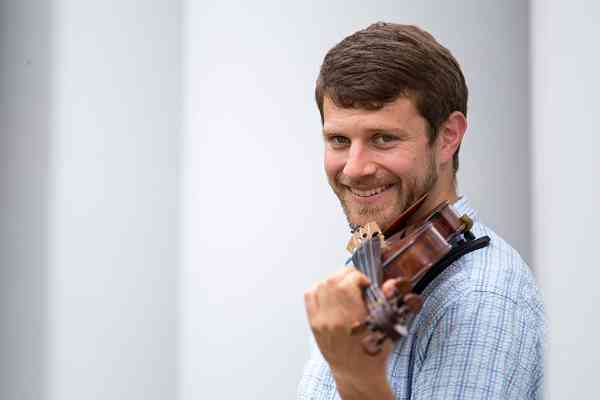 He recently completed his Specialist’s degree (AD) in violin performance with Aaron Berofsky at the University of Michigan, where he also received his Master’s degree. Previously, Zachary completed his undergraduate work at UC Santa Cruz, where he studied with Roy Malan. While at UCSC, he served as both concertmaster of the University Orchestra and as a member of the undergraduate Resident String Quartet. Throughout his studies, Zachary actively collaborated with the composition department in the presentation of many world premieres of both chamber and solo works. He remains dedicated to the performance of new and contemporary works, programming them regularly on his own recitals. Zachary now maintains a varied and active performance schedule. He is currently a fellow with the New World Symphony, and while in Michigan was a member of the Lansing Symphony Orchestra, and played regularly with the Ann Arbor and Toledo Symphonies. Complementing his orchestral endeavors, Zachary frequently gives solo and chamber music recitals in the greater community. While embracing his role as a performer, Zachary is also a dedicated teacher and a firm believer that music should serve and strengthen the community around it. To this end, he maintains a private studio and has taught for el Sistema based music programs in both California and Michigan since 2012. Zachary has also taken Suzuki training with both Andrea Yun and Mark Mutter. Zachary has spent his summers performing as a fellow at the Mendocino, Marrowstone, and Manchester Music Festivals, as well as at the Garth Newel Music Center, National Orchestral Institute, and Chautauqua Institute. When not playing the violin, Zachary enjoys running, cooking, reading, and most anything related to the outdoors.